A new EPA proposal would change the way the agency’s Risk Management Program (RMP) regulates chemical process safety, and would make chemical replacement evaluations mandatory for companies operating in certain industries. A pre-publication copy of the new rule was released to the public late last month. The proposed rule — officially titled Accidental Release Prevention Requirements: Risk Management Programs Under the Clean Air Act, Section 112(r)(7) — is scheduled to be published in an upcoming (but not yet specified) edition of the Federal Register. After publication, the EPA will allow 60 days for the public to comment on the proposed rule. The EPA has said it will also hold a public hearing on the proposed rule on March 29 in Washington D.C. 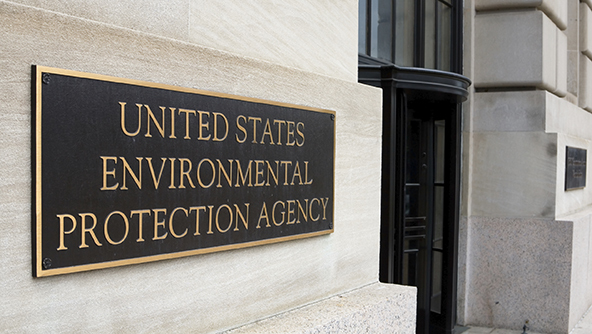 This proposed rule is notable because while both the EPA and OSHA have encouraged companies to move toward chemical substitution, this is the first time that either agency has proposed making the pursuit of safer, chemicals alternatives assessment required. Specifically, owners or operators of facilities with Program 3 regulated processes in North American Industrial Classification System (NAICS) codes 322 (paper manufacturing), 324 (petroleum and coal products manufacturing), and 325 (chemical manufacturing) would be required to conduct a safer technology and alternatives analysis (STAA) as part of their PHA, and to evaluate the feasibility of any inherently safer technology (IST) identified. The current PHA requirements include consideration of active, passive, and procedural measures to control hazards. The proposed modernization effort continues to support the analysis of those measures and adds consideration of IST alternatives. The proposed rule also makes clear that it is explicitly intended to complement Executive Order 13650: Improving Chemical Facility Safety and Security, issued by President Obama on August 1, 2013 in response to the West Fertilizer facility explosion and other catastrophic chemical facility incidents. For more information about the proposed rule, you can visit the EPA’s Risk Management Program website here. For more information about MSDSonline’s Plan1 First Responder Share Service, which can help businesses and local emergency response teams coordinate regarding emergencies involving hazardous chemicals, click here. For more information about how MSDSonline’s authoring team can help you negotiate the changing landscape of chemicals, click here.